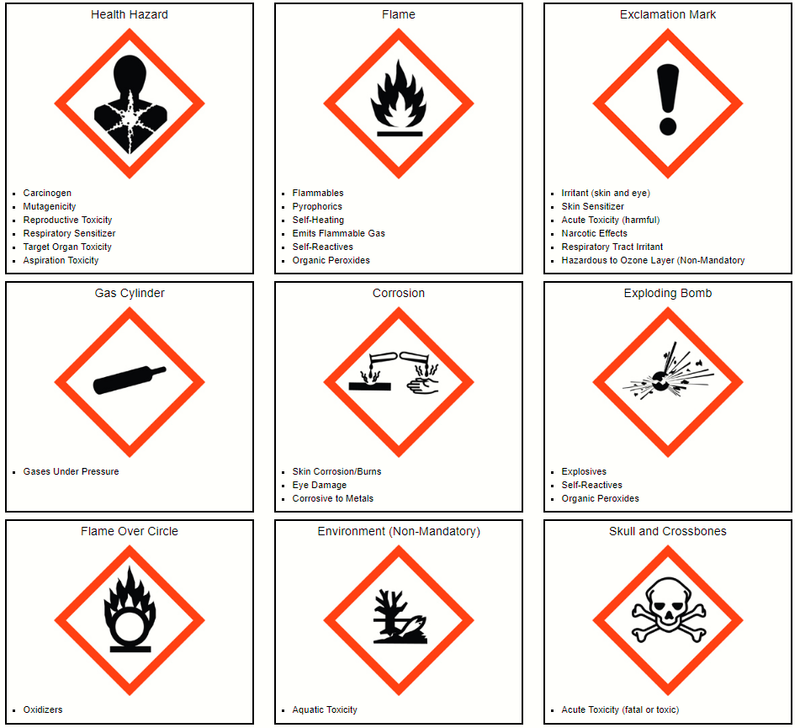 In 2012, the Occupational Safety and Health Administration (OSHA) adopted new hazardous chemical labeling requirements. 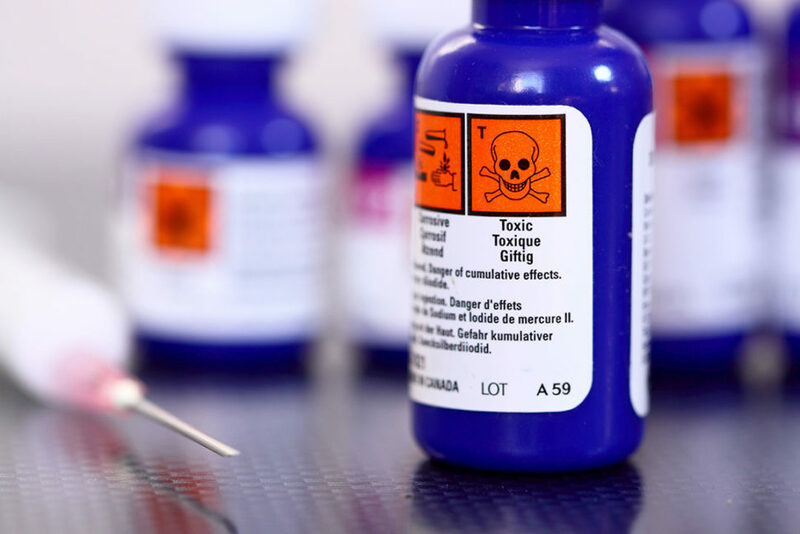 Almost all chemical manufacturers, importers, distributers and employers in the United States are now required to use the Globally Harmonized System of Classifying and Labeling Chemicals (GHS). This new system updated the requirements for safety data sheets (formerly Material Safety Data Sheets) and chemical labels. 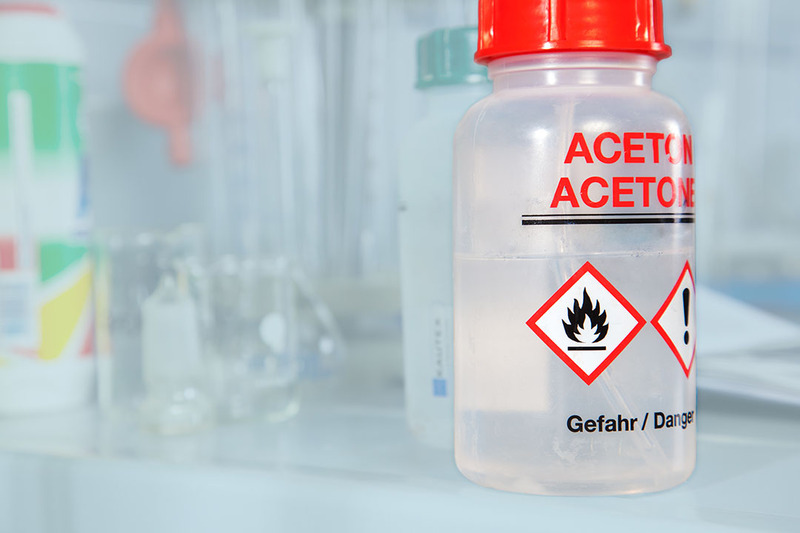 If an original container contains hazardous chemicals, it must be properly labeled, with only a few exceptions. These labels must include signal words, pictograms, precautionary statements, product identifiers, and the supplier’s contact information. The GHS requires employers to use chemical labels and safety data sheets as a part of their hazard communication (HAZCOM) plan. 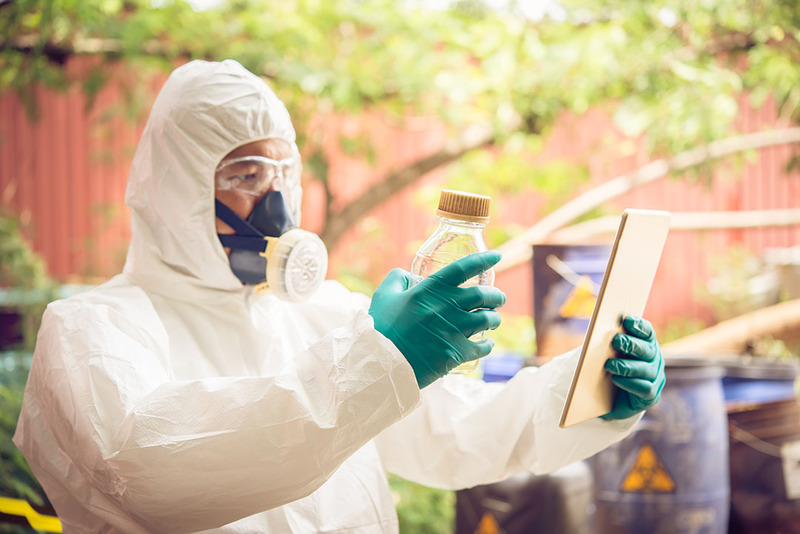 All employees must be trained on their facility’s specific chemical hazards and HAZCOM plan before they begin work with or near potentially hazardous chemicals. Employees must be able to read and understand chemical labels and know where to find and how to understand safety data sheets. SafetySkills covers these topics and more in its Globally Harmonized System and Hazard Communication courses. For more information, click here. Interested in Seeing More Courses? Schedule a free demo! Copyright © 2019 SafetySkills. All Rights Reserved.